Excerpt: This summer marks 52 years since one of the most unusual horses first competed at the Summer Olympics in Rome. 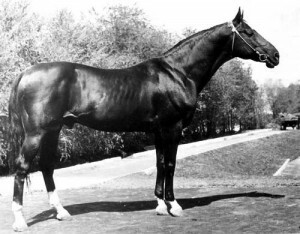 Absent, a striking black Akhal Teke stallion with four white socks and a star, introduced the world to a little-known ancient breed when he won a gold medal in dressage for the Soviet Union. He returned to the Olympics two more times for an individual bronze medal in 1964 and a team gold medal in 1968, both in dressage. >> Download the complete 1,400-word article for Kindle to learn more about the origins of the Akhal Teke horse, its genetic challenges, and the efforts to preserve this rare breed. The Kindle ebook article includes 10 historic and modern photos, both in color and black & white, and links to resources. Hi, I read your article about Akhal Teke and did enjoy it. 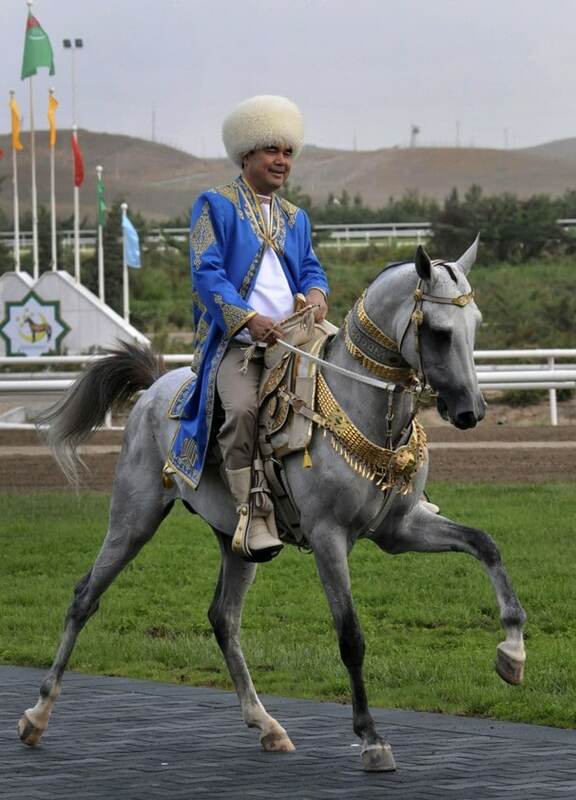 However I must comment about “heavenly horses” of Ferghana which could be a misunderstanding of sources as “heavenly horses” came from ili valley in lands controlled by Wusun who were related to the Alan’s. they exchanged horses for Chinese brides. The horses from Ferghana were called “blood sweating horses” and these were superior to “heavenly horses” of Ili Valley”. There seems to be a common misconception that these horses are the same.